Tired of all those robocalls that show up as “Unavailable” on your caller-ID, tout “your last chance to reduce your credit rates” or maybe offer free cruise trips with who knows what as part of the deal? The federal do-not-call list was supposed to stop these calls, but they persist and have even been hitting once off-limits cell phone numbers. On Tuesday, Maryland Attorney General Doug Gansler and 33 other state attorneys general from around the nation wrote to the Federal Communications Commission asking it to clarify the federal law that the phone companies say prohibit them from using technology to block illegal telemarketing. In the letter, the attorneys general ask how, when and under what circumstances could the phone companies legitimately use available technology to block calls. The attorney general’s office handles consumer complaints in Maryland. Alan Brody, a spokesman for the office, said it averages about 30 calls a month on telemarketing issues, and six emails. Brody said turning these calls into complaints to be investigated is difficult because the telemarketers often use “shadow numbers” and their companies are difficult to identify. 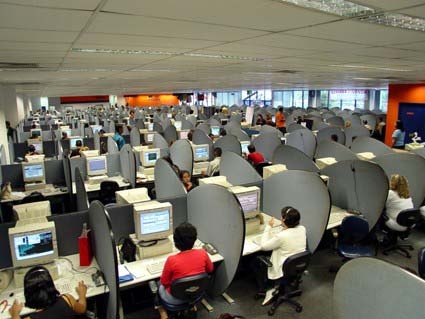 When consumers start asking questions about the source of the call, the telemarketers are trained to hang up. Brody said the technology is so sophisticated that it is difficult to track down anyone to make a conviction. In one case, a scam artist was using the main number of the attorney general’s office as the shadow number. For Todd Eberly, growing up in Pennsylvania, politics was his game of choice. Now the political science professor at St. Mary’s College of Maryland has become a routine source of analysis for reporters and radio hosts.